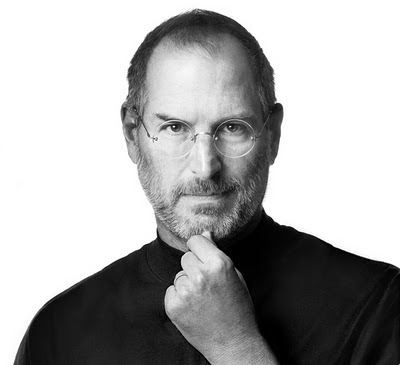 Today would have been the Apple co-founder's 57th birthday today. He is missed. A new rumor has appeared in today's Wall Street Journal, siting the technology website The Verge, indicating that book retailer Barnes & Noble could begin selling an 8GB version of their Nook tablet as early as this week. "The Verge reported Monday that Barnes & Noble Inc. is expected to release a new Nook Tablet with 8 gigabytes of built-in memory later this week. That could allow the book retailer to match or even undercut Amazon.com Inc.’s $199 price on its Kindle Fire tablet, which has 8 GB of memory. Barnes & Noble’s existing Nook Tablet, released about the same time as the Kindle Fire last November, has 16 GB of memory and sells for $249." I've toyed with the idea of getting a Kindle Fire to play with, but in all honesty, I don't because I don't ready many books for enjoyment. 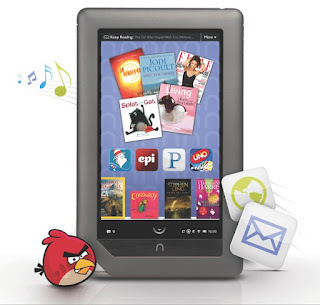 At least the iPad, Kindle Fire, and the BN Nook can all play Angry Birds! 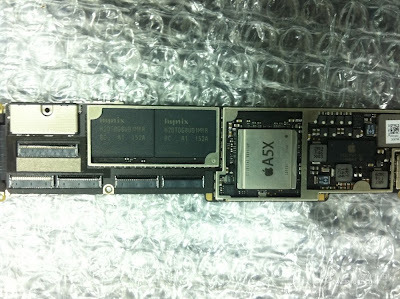 Is this the new logic board for the iPad 3 that is expected to be unveiled in the coming weeks? Many people believe that the next Apple CPU would be the "A6," but that may not be true. "[I]f this photo is to be believed, that assumption appears to have been incorrect, with Apple instead having branded the upgraded package with the A5X name. A date code of "1146" on the A5X indicates that it was manufactured in the 46th week of 2011, which would have corresponded to November 14-20. An "A5X" as a step-wise upgrade to the A5 corresponds with progression of processor part numbers as revealed by BGR in February. At the time the A4 was known to be the S5L8930X, the A5 as the S5L8940X and the new iPad processor as S5L8945X." Apple is widely expected to introduce the iPad 3 at a media event on March 7. In a move that surprised many, Apple today announced the next major release of Mac OS X 10.8, Mountain Lion. With Mountain Lion, Apple continues to blur the lines between OS X and iOS, so much so, the advertising tag line is, "Inspired by iPad. Re-imaged for Mac." With more than 100 new features to look forward to, Mountain Lion is going to be a must upgrade for Mac users with modern hardware (2009 and later). The tentpole applications for Mountain Lion include deep iCloud integration, Messages (replacing iChat), Reminders and Notes (taking over for features in the Mail application), Notification Center, Share Sheets, deep Twitter integration, Game Center, AirPlay Mirroring (requires a second generation Apple TV), and Gatekeeper. Additionally, the Software Update control panel will be making the jump from a stand alone application to a feature inside the Mac App Store application - just like the software update feature in iOS. 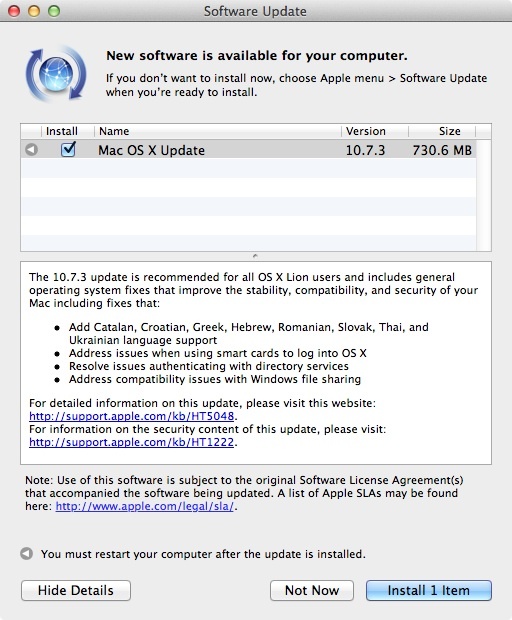 You can read more about the major features of OS X 10.8 on Apple's Mountain Lion website. With today's announcement, Apple has made Messages available as a free download to Mac OS X 10.7 Lion users. You can download Messages for OS X from the Apple website. While Apple was publicly talking about Mountain Lion today, they weren't talking release schedules or pricing. Apple was only saying, "OS X Mountain Lion arrives this summer." Mountain Lion, like Lion before it, will be available only as a purchase from the Mac App Store. Registered developers can download a beta version of OS X Mountain Lion starting today with a $99/year paid subscription. I remember when Apple first started talking about how Lion was going to bring many of the iOS features to OS X and was not really looking forward to 'dumbing down' my Mac. But Lion has been a nice upgrade and I'm perfectly comfortable with it, so much so, I'm looking forward to getting Mountain Lion installed sooner rather than later. Ok BGR's headline made me laugh and so I had to read the article. "Samsung and AT&T are getting ready to launch a new smartphone, superphone, phablet or whatever else you want to call it, and I picked one up earlier today. It’s the first time I have used or even held the device personally, and I really need to share some immediate thoughts even though a full review is forthcoming. 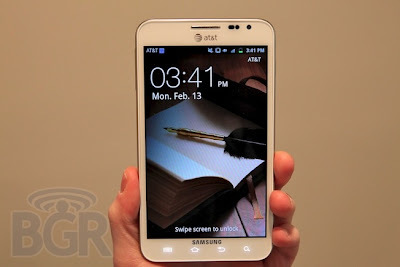 This is a phone, after using it for a few hours, that feels like it is too big to be taken seriously. That’s the end of it." Earlier today, Apple CEO Tim Cook spoke at Goldman Sachs technology conference. If you missed the event, like me, you can still read a transcript of the Q&A session with Cook thanks to the efforts of the good folks over at MacRumors.com. "Apple is this unique culture and unique company. You can't replicate it. I'm not going to witness or permit the slow undoing of it. I believe in it so deeply. Steve grilled in all of us over many years, the company should revolve around great products. We should stay extremely focused on a few things, rather than try to do so many that we did nothing well. We should only go into markets where we can make a significant contribution to society, not just sell a lot of products." How can you not love Apple's products? 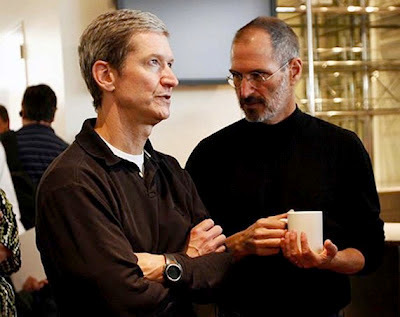 Like Apple or not, the company is in good hands and will continue to lead the technology sector for years to come. I'd think Steve would approve. You can read the full Q&A transcript on MacRumors.com. There has been a lot of rumors lately about the next generation Apple iPad. "Apple's plans to release a third generation iPad within the next few weeks have been broadly anticipated, although the report, published by the New York Times, notes that its "unclear" if the next iPad will be named iPad 3." As with many things Apple around product launches, we won't know everything until Apple CEO Tim Cook walks off stage. Apple has not yet announced the iPad 3 or talked about when it might unveil the new tablet. But we know the iPad 3 is coming soon if past history is any indication. In late January, we started to hear that Apple would hold an event in February to announce the iPad 3 with a March launch. Last week, AllThingsD.com reported that they understand that Apple will be holding a media event to announce the iPad 3 in early March and the new iPad will begin shipping closely there after. "Apple’s not holding an event in February[,] [b]ut it is holding one in March — to launch its next iPad. Sources say the company has chosen the first week in March to debut the successor to the iPad 2, and will do so at one of its trademark special events. The event will be held in San Francisco, presumably at the Yerba Buena Center for the Arts, Apple’s preferred location for big announcements like these." "Typically a solid indicator of an Apple product refresh is when the previous model of that particular product begins to see constraints and shortages. We saw this process prior to the launch of the iPad 2 in March of 2011, and we typically also see this process to prior to launches of Apple’s new Macs. According to a source familiar with Apple’s product distribution channels, the iPad 2 WiFi + 3G is constrained. Supply shortages span beyond Apple’s own distribution channels, though, as major retailers are reporting “out of stock” status for the 3G iPad 2." The latest rumors say that the iPad 3 will be of a similar size and form of the current iPad 2. 9To5Mac.com reports, "[t]he iPad 3 case was not noticeably thicker than the iPad 2, countering previous rumors that the new iPad would be thicker." "The display has three flat cables that connect to the base of the LCD, which is said to sport a high-resolution 2,048-by-1,536-pixel display. 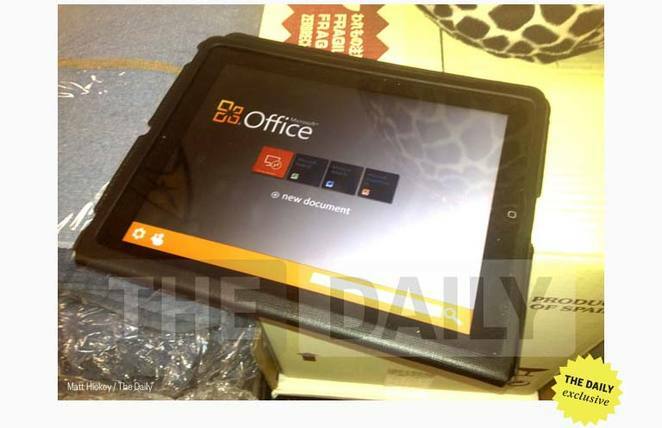 That's the same size that has been rumored for an Apple-branded Retina Display on the third-generation iPad. The resolution suggests that Apple's so-called "iPad 3" will not match the 326 pixel-per-inch density of the iPhone 4S, iPhone 4 and iPod touch. Rather, the rumored resolution would be a pixel density of around 260 pixels-per-inch, with quadruple the resolution found on the current iPad." Another interesting item that has come up this past Friday is that AT&T Wireless will begin supplying 4G LTE compatible micro-SIM cards. In a BGR.com article posted on Friday, Dan Graziano notes that while the new Nokia Lumia 900 and the Pantech Burst will likely use the new 4G LTE cards, it is possible that these cards might be used in an iPad 3 before Nokia's new smartphone. What's an Apple keynote address without some flashy advertising and software to go with the hardware? BGR's Mr. Graziano, on Friday, posted another article suggesting that Apple was in "crunch mode" getting ready for their iPad 3 product demonstration. "The Cupertino-based company is now looking for apps that will show off the stunning quality of the iPad 3′s high-resolution Retina Display." Having high quality applications to show off the new capabilities of their new hardware is a staple of Apple product announcements and there is no reason to doubt Apple won't have select software developers on hand to help unveil the new iPad. "The iPad maker is also reportedly forwarding some apps to its advertising partner TWBA/Chiat/Day as the agency readies commercials for the third-generation tablet. Author Matthew Panzarino noted that the process is entering its "final phase" and is on a tight deadline for the presentation and subsequent television broadcast." The National Academy of Recording Arts & Sciences has awarded Apple co-founder Steve Jobs this year's Grammy Trustees Award posthumously. 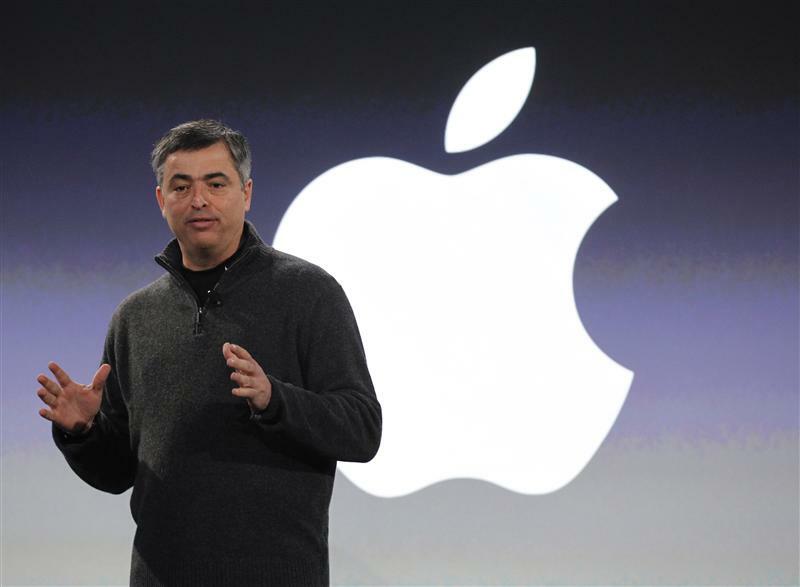 Apple senior vice president of Internet Software and Services, Eddy Cue, was on hand to accept the award on behalf of the late Jobs. "Steve was a visionary, a mentor, and a very close friend," Cue said. "I had the incredible honor of working with him for the last 15 years. Accepting this award means so much to me, because music meant so much to him." The latest version of the popular Motorola DROID, the DROID 4, is now available for $199.99 at Verizon with a qualify new service contract. "The sleek QWERTY slider features a 4-inch qHD display, a 1.2GHz dual-core processor, 4G LTE connectivity, 1GB of RAM and an 8-megapixel rear camera, and it is being billed as the “thinnest and most powerful 4G QWERTY smartphone.”"
The DROID 4 ships with Google Android 2.3.5 Gingerbread. I would have liked to see Motorola's new flagship phone ship with the latest build of Android, 4.0 Ice Cream Sandwich, while I'm sure will be long as soon as Motorola and get Verizon to certify it. 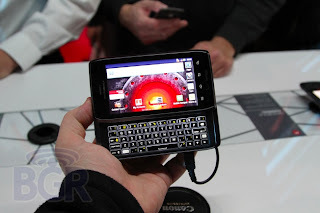 Of the few Android phones that I've used, I do like the Motorola DROID line of smartphones the best. The HTC Android phones have their slick UI skin, but I think that Motorola's UI is cleaner and just gets out of the way and lets you use the phone. 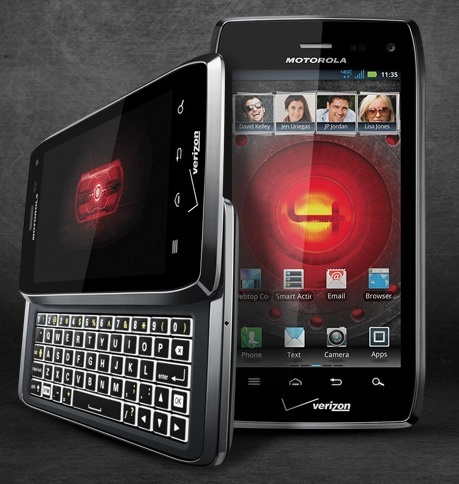 The full specs for the new DROID 4 can be found on the Motorola Mobility website. Earlier this week, Apple released the third update to their Lion operating system for the Macintosh. 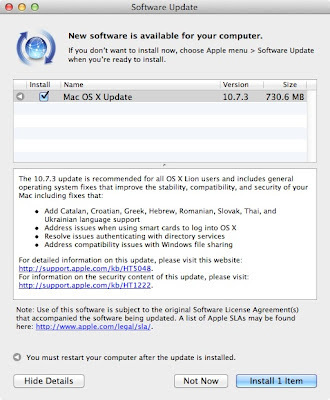 Mac OS X Lion 10.7.3 is a maintenance release for all Macs running the Lion operating system and Apple recommends installing the update if you are running a prior release of Lion. You can download the OS update using the Software Update control panel on your Mac, or you can download the update from the Apple website. Mac OS X 10.7 Lion can be purchased from the Mac App Store for $29.99 (requires Mac OS X Snow Leopard 10.6.6 or later to purchase and upgrade).